February 2nd is the day when the groundhog fondly known as the Punxsutawney Phil comes out of hibernation each year to advise us whether we can expect an early spring, or if the cold winter weather will continue and we'll have an extended heating season. 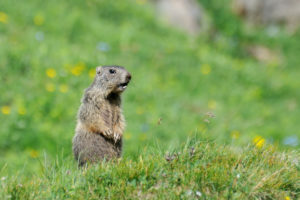 Groundhog Day has been an annual tradition since 1886, but how does really affect winter heating in your home? According to Groundhog Day lore, if cute, chubby Phil exits his burrow and sees his shadow because the sun is shining, he'll head back in to hibernate for another six weeks of cold, winter weather. If he doesn't cast a shadow because the sky is overcast, he'll stay out and we get to enjoy an early spring. Monthly energy bills. Six more weeks of winter means you'll pay more for electricity or gas to keep your house warm and comfortable. If spring arrives sooner, the mild temperatures can allow you to save on your monthly utility bills until the cooling season arrives. Equipment maintenance needs. If you didn't have your heating system professionally maintained last fall, doing so now ensures the equipment stays working reliably if we have an extra-long winter. If Phil correctly predicts an early spring, you should get your air conditioner serviced too, so you know it's in prime condition for the warm, humid summer ahead. Indoor air quality. Having your home closed during a long winter season can erode your air quality due to trapped pollutants and allergens. Whether we end up having a shorter or longer winter this year, Groundhog Day can be a timely reminder to investigate the different options available for improving your home's air quality. To schedule maintenance for your Fort Wayne home's HVAC system, or to explore options to improve your air quality during the winter heating season, contact us at Hartman Brothers Heating & Air Conditioning.